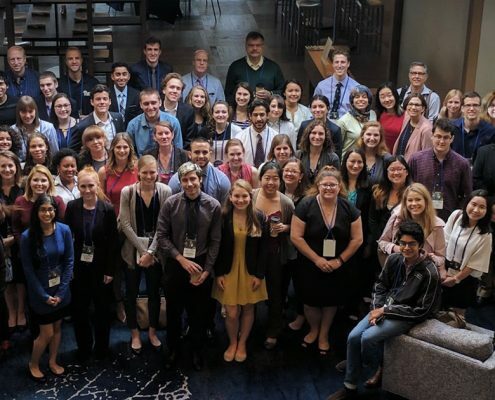 The annual Meeting of the Minds conference focuses on undergraduate research and scholarship at the 15 ACC member schools and represents the power and synergy that can exist between athletics and academics. On March 31-April 2, 2017 Duke University hosted over 70 undergraduate researchers for presentations and posters. The 2018 conference was hosted by Boston College, April 6-8, 2018. The 2019 conference will be hosted by the University of Louisville, April 7-9, 2019. For information consult Carles Leonard at charlie.leonard@louisville.edu.